See location for B&Bs and places to eat in the evening. Why not extend your stay and explore Hadrian‘s Wall country or take advantage of the proximity to Newcastle and Gateshead's vibrant city culture? Wood Cuts are a form of relief printmaking not dissimilar to linocuts involving cutting away areas along the natural grain on the flat side of the piece of wood leaving the image areas. Apply ink with a roller and print onto paper by hand or with a press to give a crisp result. With their distinctive style and long heritage, woodcuts offer great creative possibilities. Chris will guide you through the design and cutting process showing you how to create a wide range of cut marks to interpret your image. Different woods will be used so that you can print in layers and really exploit the natural wood grain. In part 1 Use the wonderful textures and shapes of animals and birds as a starting point for print exploration and development. 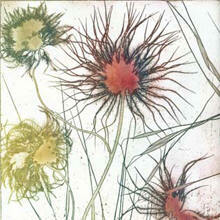 In the first 4 weeks (28 Sept, 5, 12 and 19th October) you will use mixed media to create and print collagraph plates. Learn to ink up effectively, cut shaped plates and combine them. 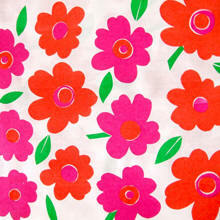 Textile artists can print on to fabric that can be used as a basis for stitch and fabric collage. In part 2 (26th Oct, 2nd, 9th and 16th Nov) the animal kingdom continues to be a visual resource but interpret it using lino or vinyl prints. It could be used as a production line for Christmas cards: deer, geese, turtledoves, turkeys and robins make great lino-cuts! You can even use metallic inks for a really festive result. Mandy will demonstrate her expertise with chine colle allowing you to add collage elements to enhance the printed surface. The courses are suitable for beginners as well as those with experience. Previous students are welcome to come and work on their own print projects. Book these courses together or separately. Make 2 or 3 very simple collaged plates using carborundum and other textured materials. 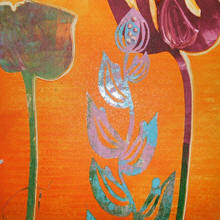 Ink up a simple monotype background and over print each plate in a single colour to create brilliant exciting prints. You can also print one plate with no ink to get a blind embossed effect in conjunction with other colour plate printing. Take home a small edition. 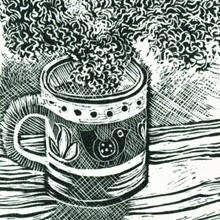 Suitable for beginners to experienced printmakers. Drawn and painted images on acetate will be transferred to metal plates using light. Plates can be printed in layers and in multi-colour. Select from a wide range of marks and tones – even found materials like lace and leaves can be used. 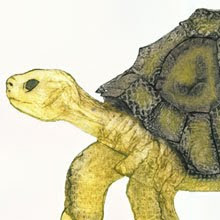 Artwork on acetate prepared digitally (of text and photographs) or by photocopying can be exposed but must be prepared in advance of the class. Rebecca will provide pre-course guidance. Following the roaring success of our first summer workshop we’re repeating this course. So, when your Christmas budget is being squeezed why not use this course to make personalized gifts for your family and friends? Screen-print short lengths of fabric and paper using simple cut paper stencils and turn them into one of a kind items: colourful tea towels, cushion covers, your very own wrapping papers, book covers, etc. There will be tips on how to embellish them further. Clare runs the Bill Quay Fabric Workshop see www.bqfw.co.uk. 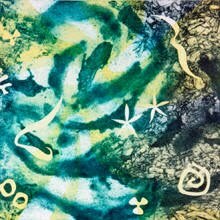 Learn to make prints using simple acetate shapes inked and layered on to a background plate. Work with the subsequent layers of residual ink to create further interesting prints that change and develop as you work. Incorporate drawn elements and collaged papers – each print will be completely unique! 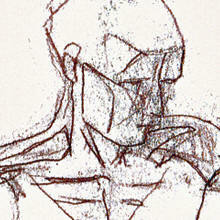 Do you love the direct fluidity of the drawn line? Learn this very simple monoytpe method of transferring ink through the touch of a tool to the surface of the paper with lots of expressive possibilities. Subtle, immediate mark-making is the beauty of this printmaking technique. Students will learn how to make an at-home registration system that allows for multiple colour drawing and creating prints without a press. If you’ve made monotypes before, bring them along and try drawing into them using this method. 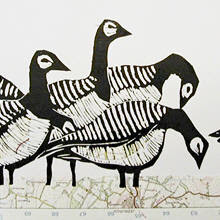 Here in Thomas Bewick country you can learn more about this fascinating form of printmaking with Chris Daunt (an elected member of The Society of Wood Engravers) who will be sharing his extensive knowledge and skills in this medium. 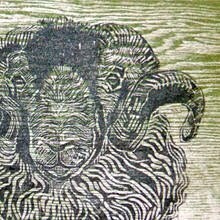 Wood engraving is a highly detailed form of relief printmaking, capable of exquisite nuance and detail, with an incredible range of mark-making possibilities. The technique involves engraving on highly polished end grain blocks with a variety of gravers, and printing from the relief surface. Great care must be taken in the preparation of the drawing and the engraving of the block, but the results are always worth the effort.